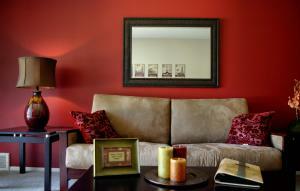 A furnished apartment may become available because the homeowner is in a similar situation to yours. Maybe their job is sending them to another city for a year, and they intend to come back home when they are done. They could be away furthering their education, or enjoying a sabbatical, but still call New York City home. A great way to begin your search is classified ads. Printed newspapers and online classified ad boards can provide information on a wealth of options, of varying durations, and at a range of price points. Some may choose to use a real estate service to handle the rental, allowing them peace-of-mind that everything is managed without overseeing it directly. Travel websites have been specifically designed to help people find rentals such as these. With a bit of research, you may find a furnished apartment is the best choice for you. Whether it is the convenience, the costs, or both, it may make your stay in New York City more pleasant. A temporary home when you are away from home.